Researchers have seen some hints in recent data that other, yet-undiscovered particles might also be generated inside the LHC. If those other particles exist, they could revolutionize researcher's understanding of everything from the laws of gravity, to quantum mechanics. Unfortunately, Marsollier says, scientists will have to wait while workers bring the machine back online. Repairs will take a few days, but getting the machine fully ready to smash might take another week or two. "It may be mid-May," he says. These sorts of mishaps are not unheard of, says Marsollier. 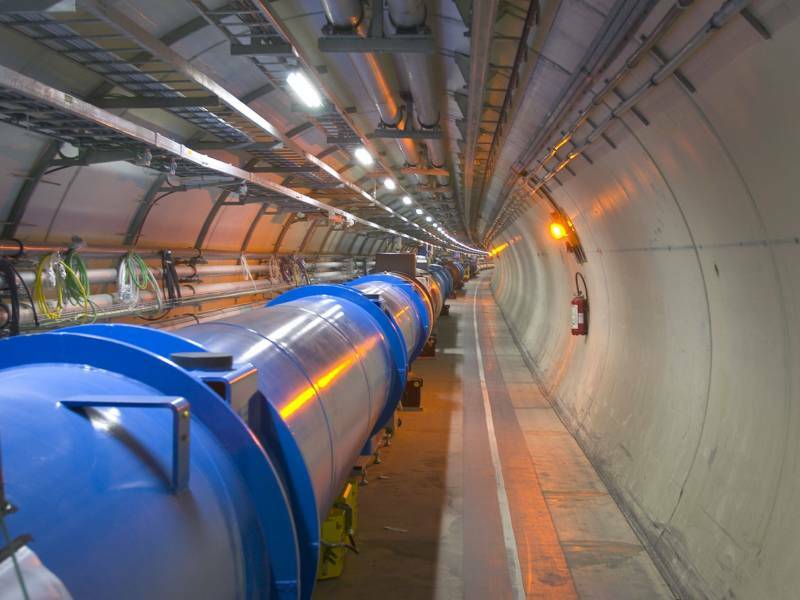 The LHC is located outside of Geneva. "We are in the countryside, and of course we have wild animals everywhere." There have been previous incidents, including one in 2009, when a bird is believed to have dropped a baguette onto critical electrical systems. Nor are the problems exclusive to the LHC: In 2006, raccoons conducted a "coordinated" attack on a particle accelerator in Illinois.